IBM and Vodafone teamed up to form a new venture to help companies drive digital transformation. The new venture provides IBM's cloud offerings to Vodafone Business customers immediately. The announcement further said that IBM and Vodafone signed a new strategic commercial agreement that will further provide $550 million valued IBM managed services to Vodafone Business' cloud and hosting unit. The arrangement will allow Vodafone customers to leverage IBM's optimization, automation and cognitive capabilities to run their business effectively in a cloud environment. With Vodafone's leadership in the Internet of Things (IoT), 5G and edge computing and IBM's multicloud, industry expertise and professional services capabilities, the new venture between IBM and Vodafone will co-develop new digital solutions for their clients. As announcement noted that 70 percent of organizations using up to 15 cloud environments. The clients will able to integrate multiple clouds and prepare for the next wave of digital transformation enabled by AI, 5G, edge, and Software Defined Networking (SDN). IBM Chairman, President and CEO Ginni Rometty, said, "IBM has built industry-leading hybrid cloud, AI and security capabilities underpinned by deep industry expertise. 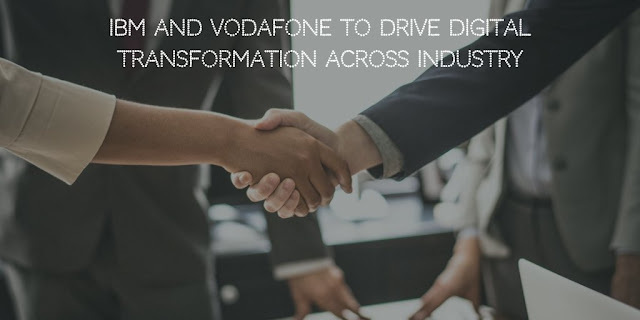 Together, IBM and Vodafone will use the power of the hybrid cloud to securely integrate critical business applications, driving business innovation – from agriculture to next-generation retail." Vodafone CEO Nick Read, said, "Vodafone has successfully established its cloud business to help our customers succeed in a digital world. This strategic venture with IBM allows us to focus on our strengths in fixed and mobile technologies, whilst leveraging IBM's expertise in multicloud, AI and services. Through this new venture we'll accelerate our growth and deepen engagement with our customers while driving radical simplification and efficiency in our business." Companies will benefit from reduced complexity and technological barriers as IBM and Vodafone Business will ensure that data and applications flow freely and securely across their organizations. The newly announced venture will be operational in the first half of 2019.